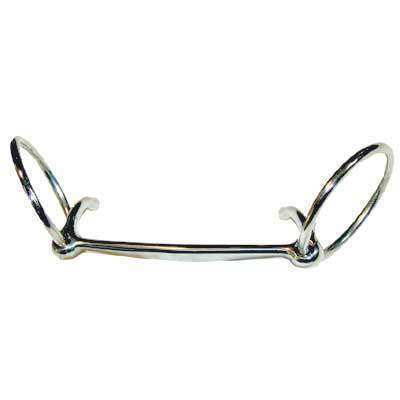 Looking for a James Mullen Mouth Loose Ring Snaffle Bit which are durable and affordable? You came to the right place. Here at Horse Tack Now we have a nice selection of James Mullen Mouth Horse Bits and other Mullen Mouth Loose Ring Snaffle Bits for you to choose from. This Mullen Mouth Horse Bit is made of top quality materials that will last a lifetime. The measurements of this Loose Ring Snaffle Bit is 3'' rings and 10mm mouth. We know how hard it can be to find a great deal on James Mullen Mouth Horse Bits. This is why we offer all our bits at discount prices to help our customers save and want to come back for future purchases.